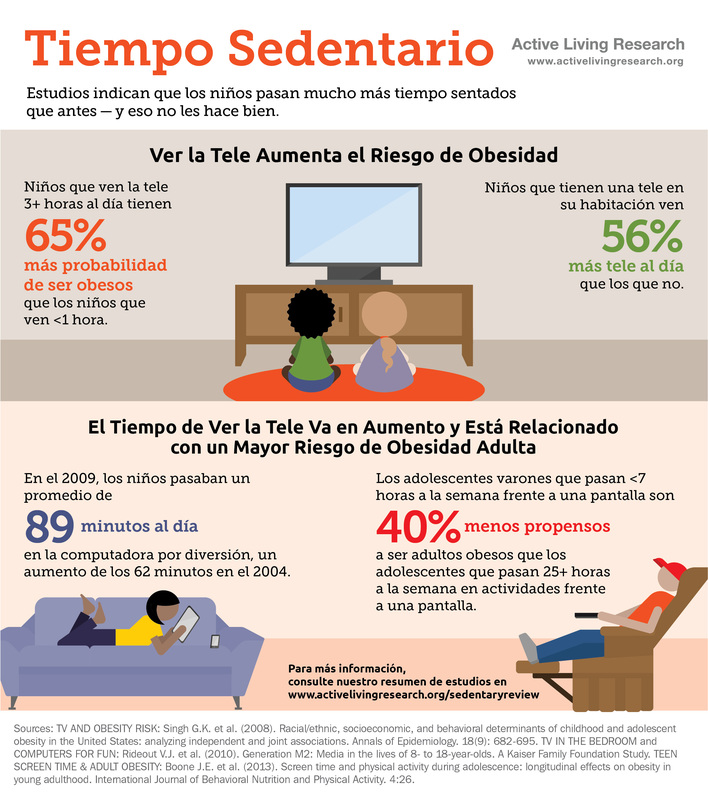 Our popular Youth Sedentary Time infographic has now been translated into Spanish. National guidelines recommend at least 60 minutes of moderate-to-vigorous physical activity every day for children and teens, but the majority of young people do not meet that goal. Spending excessive time engaging in sedentary behaviors, such as watching TV, playing video games, and other screen time activities, contributes to the problem. This infographic features evidence on trends in sedentary behaviors among youth and their impact on obesity. Findings presented in this infographic come from a related ALR research review. This infographic can be downloaded for free in JPG format (1.02 MB) by clicking on the image or the "Download Original" link. A PDF version (592 KB) of this infographic is also available upon request. When requesting, please let us know how you intend to use the infographic. I intend posting the infographics in the lobby of our WIC clinic. They will also be good information to catch attention at the county fair and other venues.